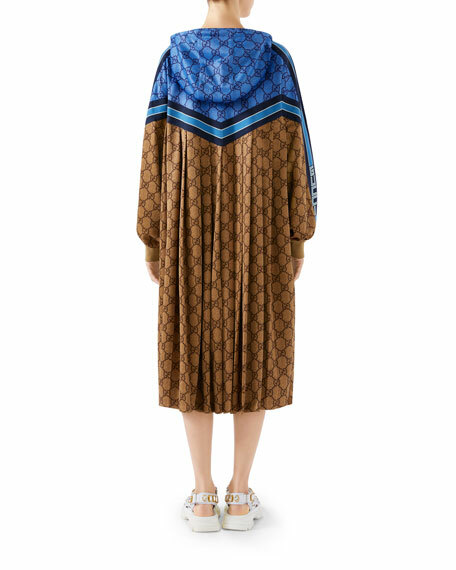 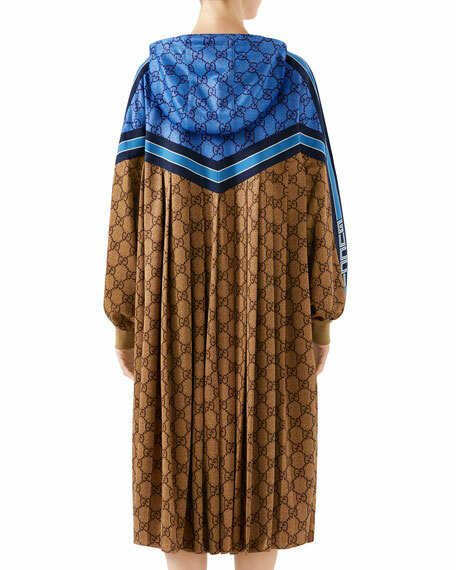 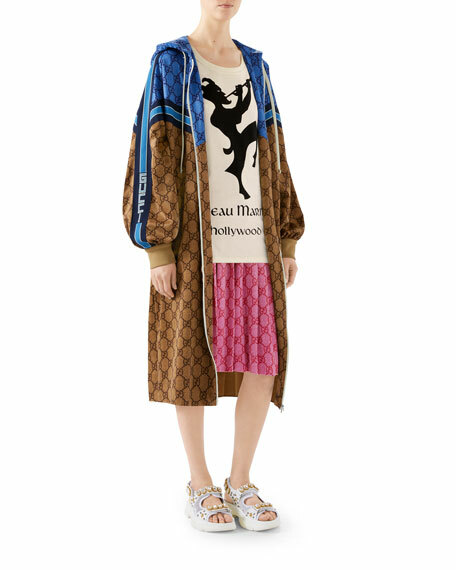 Gucci jacket in GG printed two-tone technical jersey with Gucci jacquard stripe detail. 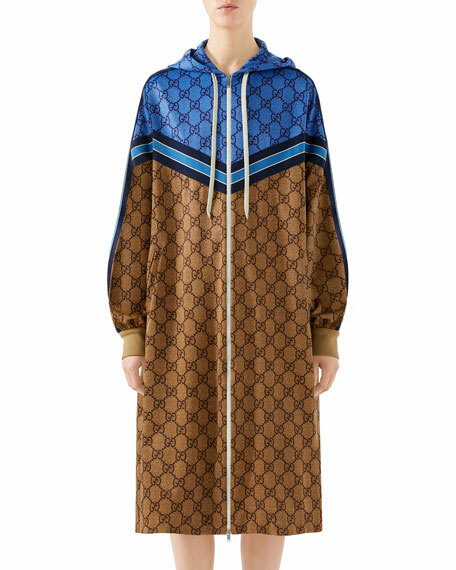 Fixed hood with drawstring; zip front. 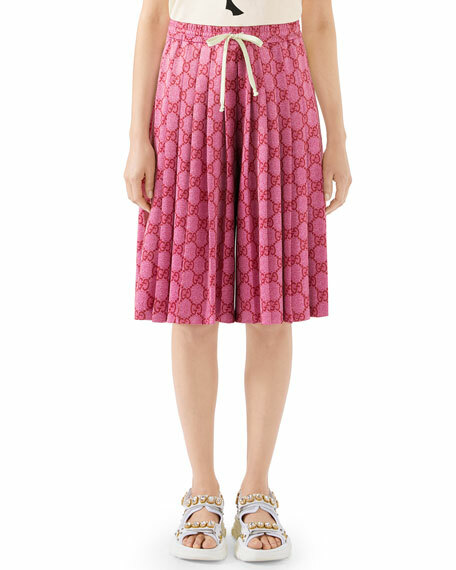 Long sleeves; cuff details at the arm opening. 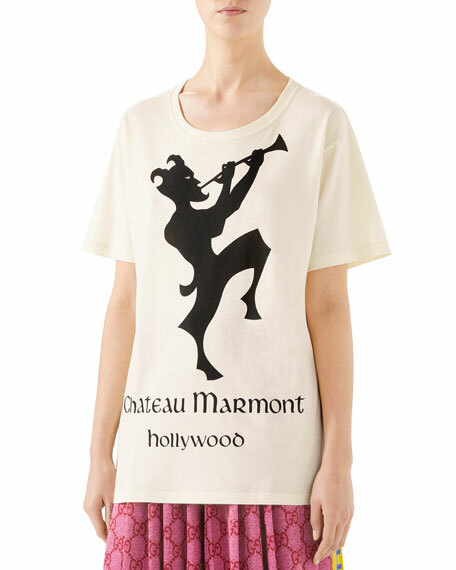 Gucci T-shirt in cotton jersey with Chateau Marmont graphic. 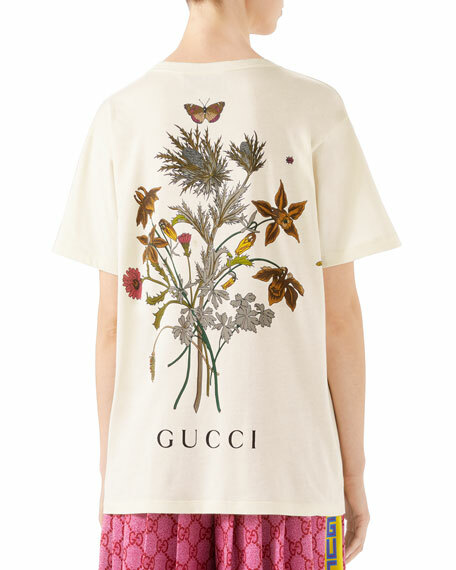 Flower bouquet and Gucci graphic on back. 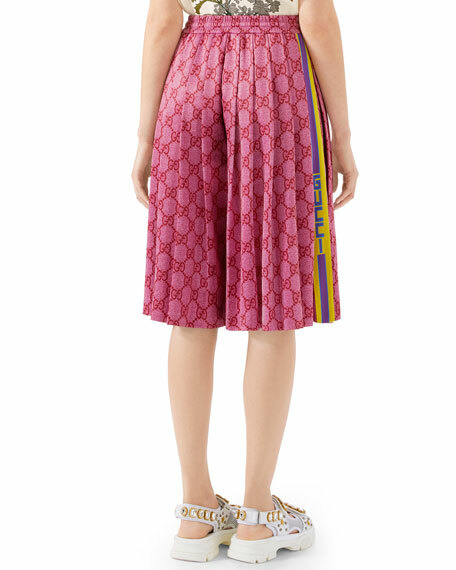 Gucci shorts in GG-jacquard technical jersey.